The AMI measures the electrical conductivity, capacitance and polarization of skin tissue and fluids to evaluate the tissue condition and function of the acupuncture meridians and their corresponding internal organs. What actually is a meridian? It is an ‘energy highway’ in the human body. 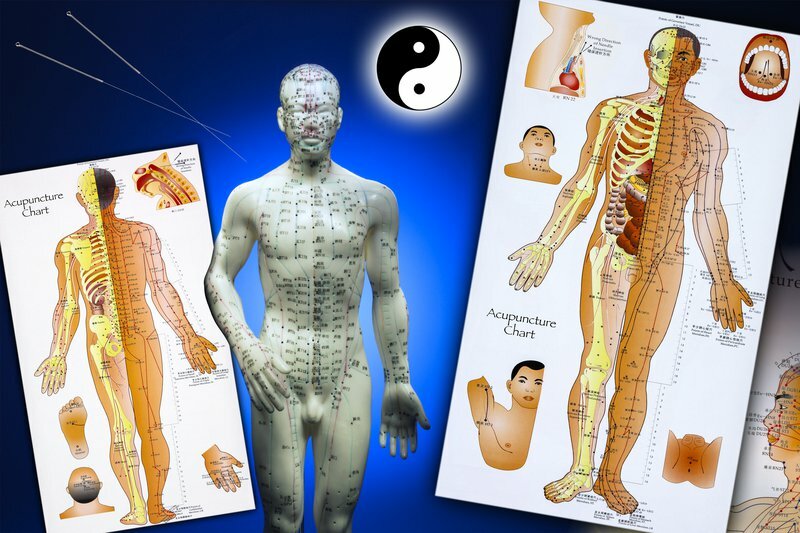 The term ‘meridian’ describes the overall energy distribution system of Chinese Medicine, and helps to understand how basic substances of the body (Qi, blood and body fluids) permeate the whole body. The AMI instrument is unique to the Subtle Energy Lab at the California Institute for Human Science (CIHS) under the supervision of PSY-TEK’s Research Director. It monitors a person’s AMI parameters (BP, AP, IQ) in a quasi-continuous manner. The 28 well-points located at finger and toe tips are recorded every five seconds; thereby, tracing the time-dependent changes throughout a test session. In order to perform these quasi-continuous recordings, a switch box is added to the Standard AMI (left figure below), and wires are attached to each of the 28 well-points, as well as ground electrodes (right figure below). The switch box traverses from reading to reading, ensuring that all 28 points are recorded in five seconds. The cycle repeats as many times as needed to reach the set time for the experiment, which is approximately 30 minutes.